Hirosaki is well known as an apple town quite a while. Many companies now trying to develop and sell local apple cider from our town! That sounds very good and exciting but our PUB has been selling only one apple cider since we opened in 2012. 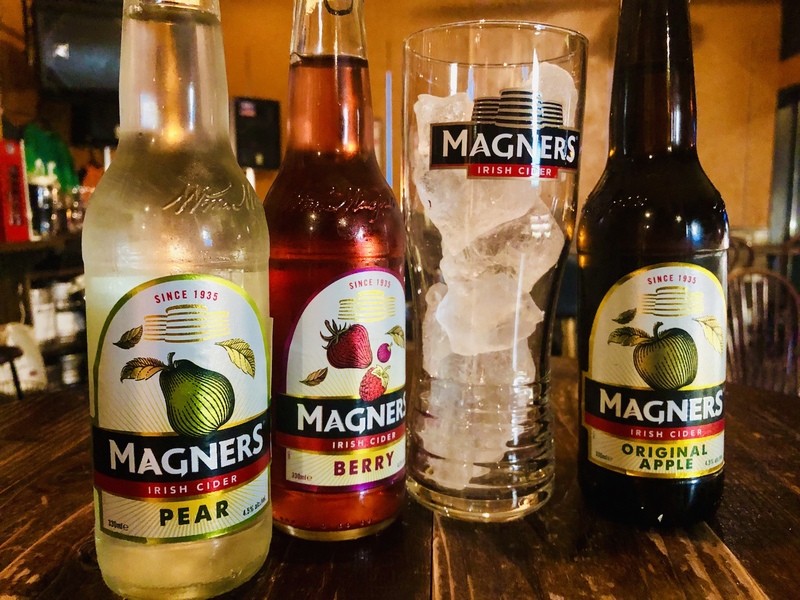 It is Magners apple cider, known as Bulmers in Ireland. Have been serving only original apple taste but now Pear and Berry are on our new menu book! Try them if you haven’t yet, it’s light and good!! !